WWT Llanelli Wetland Centre Nature ReserveGet closer to nature at WWT Llanelli Wetland Centre, situated on the glorious northern shore of the Burry inlet. Here you can enjoy stunning views over the estuary and Gower and, with unforgettable experiences offering access to a huge variety of wildlife, it is no surprise we are an award-winning day out for all ages! Set in a breath-taking 450 acre mosaic of lakes, pools and lagoons, Llanelli Wetland Centre is a haven for some of the world's most spectacular birds, many of which are rare or endangered. The beautiful wetlands here are home to countless types of diverse wildlife such as dragonflies, kingfishers, orchids, oystercatchers, butterflies, barn owls, pintails, spoonbills, little egrets, and so many more. As the seasons change, visitors can witness the transition of species and there is always something new to see. Expert birdwatchers and beginners alike enjoy spending many hours in our comfortable hides looking for new or rare spots. We also care for a large collection of some of the world’s rarest ducks, geese and flamingos, with many birds so tame they feed from your hand! This is the perfect way to feel connected to wetland nature and find out more about how we are working to protect their wild counterparts. It’s also a marvellous way to relax and forget about everyday stresses. Llanelli Wetland Centre is highly recommended for a family day out, with different arts & crafts and seasonal activities available at weekends and during school holidays. Popular activities include pond dipping (and viewing what you find on the big screen! ), minibeast hunts, family workshops, den building, expert wildlife walks and talks, GIANT trails and much more! Please see our website for up to date events and information. Throughout the school summer holidays (Carmarthenshire) you can also borrow one of our bikes and pedal through 200 untamed acres of ponds, lagoons and meadows in the Millennium Wetlands, or spot a water vole as you glide through the reeds on a canoe safari! Our welcoming Kingfisher Kitchen is the perfect place to unwind, with panoramic views over the Gower peninsula. Sit back and watch the birds feeding outside as you enjoy delicious home cooked food, or a tempting afternoon tea and homemade cake! The cafe is also fully licensed should you wish to enjoy an alcoholic beverage amidst stunning wildlife scenery. Then, take a moment before you leave to browse our gift shop for a large array of beautiful souvenirs and WWT products. Guilt-free spending as every penny goes towards the WWT’s conservation work around the world. All WWT centres exist to fulfil founder Sir Peter Scott’s vision of connecting people with nature, so we make it a principle that our wetlands and wildlife are accessible to everyone. Llanelli Wetland Centre has excellent access throughout, ample free parking for cars and coaches and mobility scooters available free of charge (booking recommended). Generous group discounts and guided tours are also available on request. Visit Llanelli Wetland Centre and experience a day out like no other. There really is something for everyone. 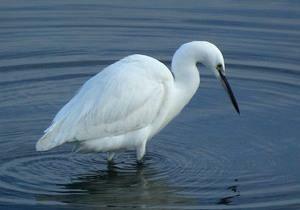 Get closer to nature at WWT Llanelli Wetland Centre, situated on the glorious northern shore of the Burry inlet. Here you can enjoy stunning views over the estuary and Gower and, with unforgettable experiences offering access to a huge variety of wildlife, it is no surprise we are an award-winning day out for all ages! All year 9.30am - 5pm (grounds open until 6pm in the summer). Group Discount available; WWT Membership available.